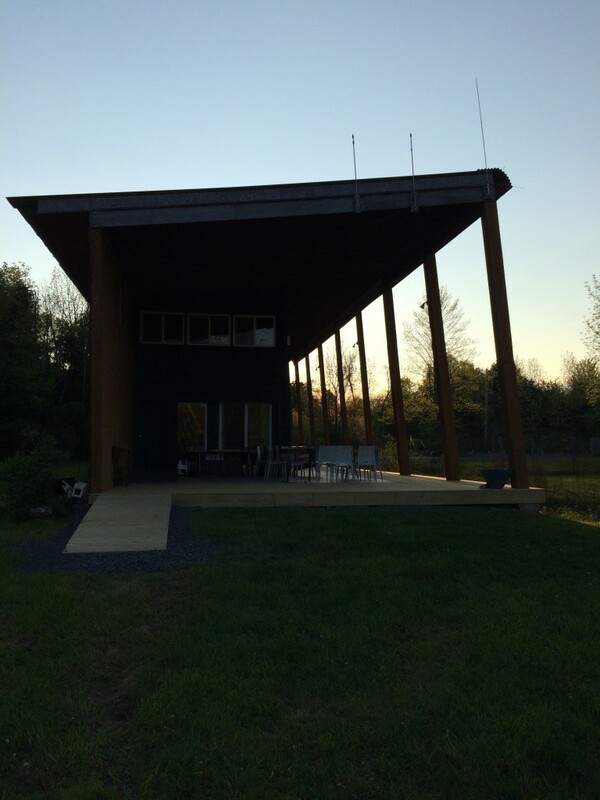 I’m enjoying a few days at Wave Farm here Acra, New York. A bit of meeting, and a bit of mini-residency to work on some overdue sound making! The best part about Wave Farm is: no matter the plan you arrive with, farm art will somehow take over. The site is very specific. 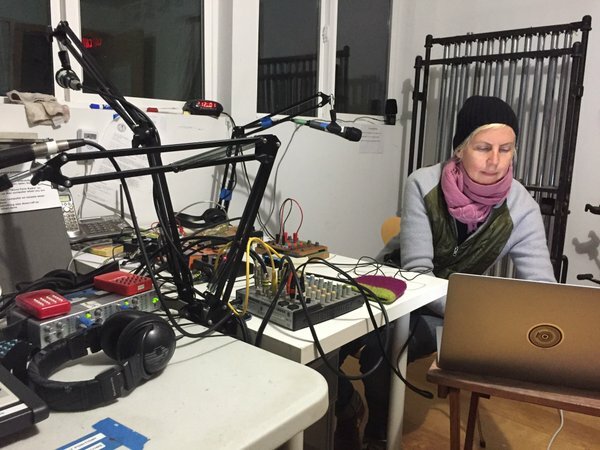 Last night (May 17, 2016 midnight to 1:00) I did a live show for Wave Farm radio and WGXC (90.7FM in Greene and Columbia counties), considering the nature of distance, listening in the dark, metamorphosis and drones of all kinds. Above is the Wave Farm Study Center and artist residency (also home to the Acra studio of WGXC) and below yours truly getting ready for the night.